Breather has offices in Montreal, San Francisco, and New York City, which they open up for hourly rentals. The office is booked via website or mobile app, and at check-in time, a code is sent to the mobile phone that is entered into the keypad on the door, and the room is yours for the allotted amount of time. Here in New York, the offices run $25 an hour and judging by the online schedules, the 10 offices they have here are quite popular. I was able to spend a couple hours last week in the NoMad location to try out Breather. When my time came, the app alerted me on the iPhone, and I hit the check-in button to get the code to the office. The room was clean and fairly well furnished. There was a couch, a couple free standing soft objects to sit in, and a couple plastic chairs against a long desk attached to the wall. Most of the time I spent at the desk on the wall, but it got uncomfortable after a while, since the desk and chair were not at optimal height for each other. Pictures of other locations had chairs at tables, which looked to be better suited for working, but it was not to be in this office. Once my time was up, the iPhone alerted me to either extend time (which I could not because someone reserved it after me) or to collect my things so the room could be available for the next person. The biggest problem I had with Breather was finding a room to rent. The 10 offices in New York City were mostly booked, and the process of checking offices one after another was a bit arduous. It would have been easier if I could view them side by side and select the office that was available when I wanted to use it. I think Breather would be a great service if I could just book an office when I needed it rather than fighting their scheduling system a day or two before in an effort to find an hour or two that was available when I was in need of an office or someplace private to go. Breather shows great promise. If the scheduling system worked out a bit better for me, I would have no reservations about using it whenever I needed an office or a place to meet a client. I look forward to seeing what the future holds for Breather and look forward to using their offices again. 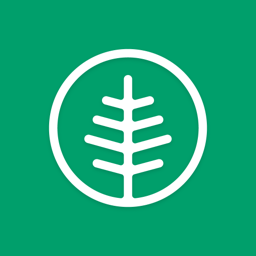 If you would like to try Breather out, click this link to get one free hour of Breather to try it out in Montreal, San Francisco, or New York City!